Although the good performance of HP ZBook 15u G5 was entirely expected, the model surprised us with a great multitude of merits. The reliability and rigidity are very important for business machines and the HP company has made sure its 15u G5 is able to withstand 14 of the MIL-STD-810G military tests for work in harsh environments. Despite that, the model weighs just 1.77 kg and it also doesn’t lack elegance given the thickness of the aluminum body of just 18.25 mm. 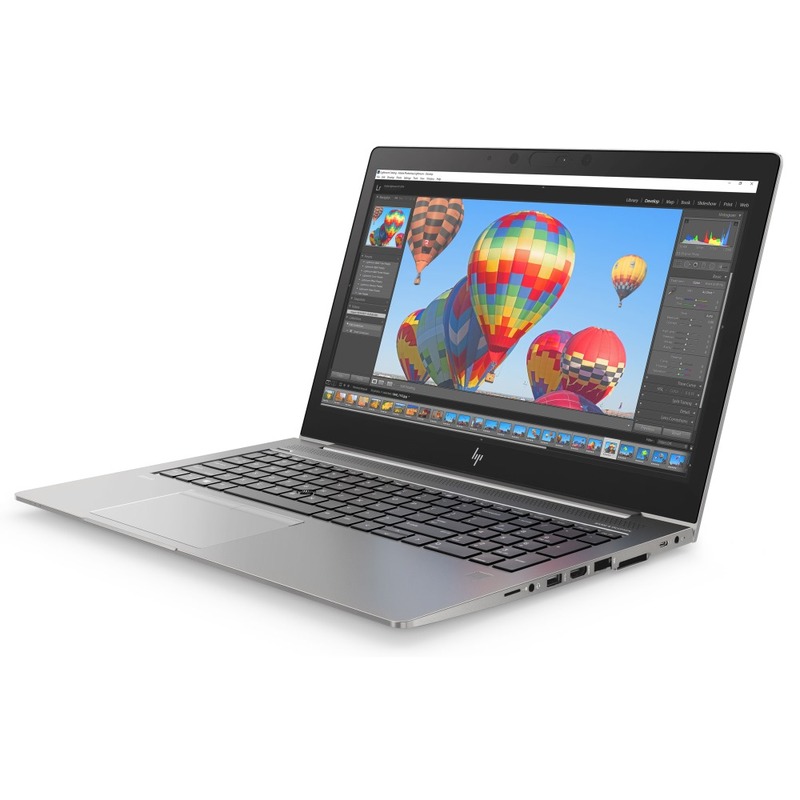 Въпреки че доброто представяне на HP ZBook 15u G5 беше напълно очаквано, моделът все пак ни изненада приятно с много от своите качества. Надеждността и здравината са много важни за бизнес машините, а от HP са се погрижили 15u G5 да издържа на цели 14 от MIL-STD-810G военните тестове за работа при сурови условия. Въпреки това моделът тежи едва 1.77 килограма, а пък не му липсва и елегантност, имайки предвид дебелината на алуминиевото тяло от 18.25 мм. Positive: Slim size and light weight; long battery life; comfortable keyboard; nice design. Negative: Poor display. AMD Radeon Pro WX 3100 Mobile: Entry level workstation graphics card based on the Polaris 12 chip like the consumer counterpart Radeon RX 540. Uses 512 shaders (8 compute units) and a 64 Bit GDDR5 memory system (96 GB/s). With these GPUs you are able to play modern and demanding games fluently at medium detail settings and HD resolution. » Further information can be found in our Comparison of Mobile Graphics Cards and the corresponding Benchmark List.